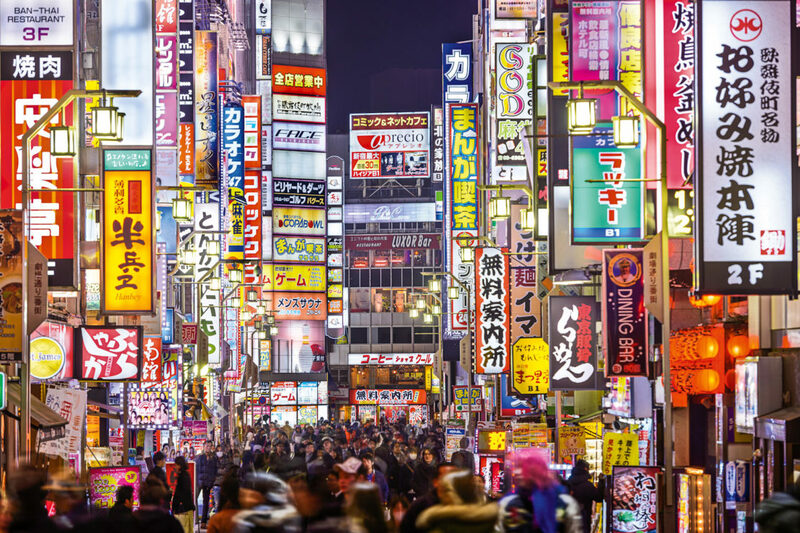 13.5 million people reside in the city of Tokyo. 13.5 million! Yet this city, the largest in Japan, somehow feels incredibly organized and exudes a welcoming warmth. It has a palpable sense of pride in its food, dress, and design, and it’s clean enough to literally eat off the busy streets. The politeness and generosity of the people in Tokyo never falters with manners and respect at the forefront of every interaction. Their friendliness is almost a shock to the system, often catching you by surprise in the best way possible. The same care and kindness is felt in the food; the quality, the attention to detail, and the service. The food in Japan is so fun and vibrant it feels more like art than a meal. Here’s where to find the best food in Tokyo! 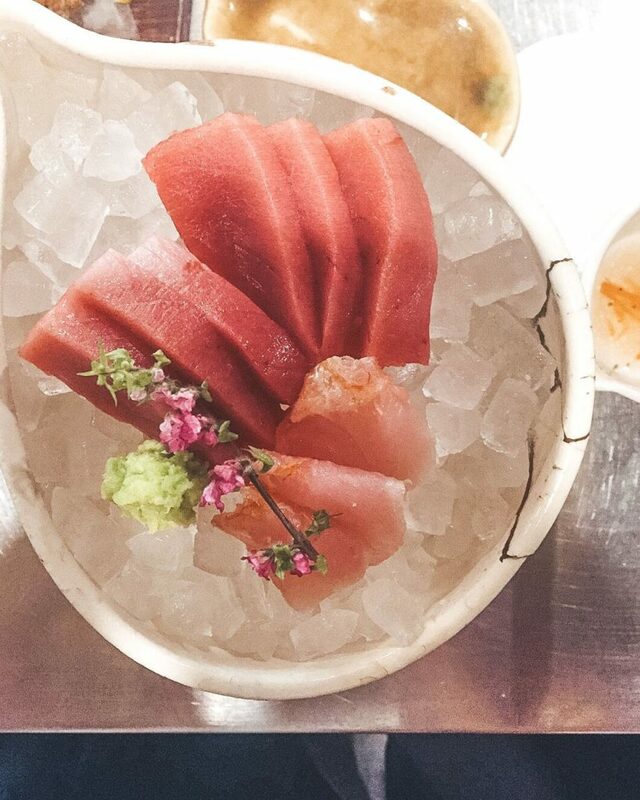 Sushi Nakamura is a restaurant where the mood is quiet, but not so silent that you feel you can’t speak. The restaurant seats 11, as is typical for Japanese omakase style sushi spots. All patrons meals are timed perfectly with one another and dishes are presented one after the other for about an hour and a half. 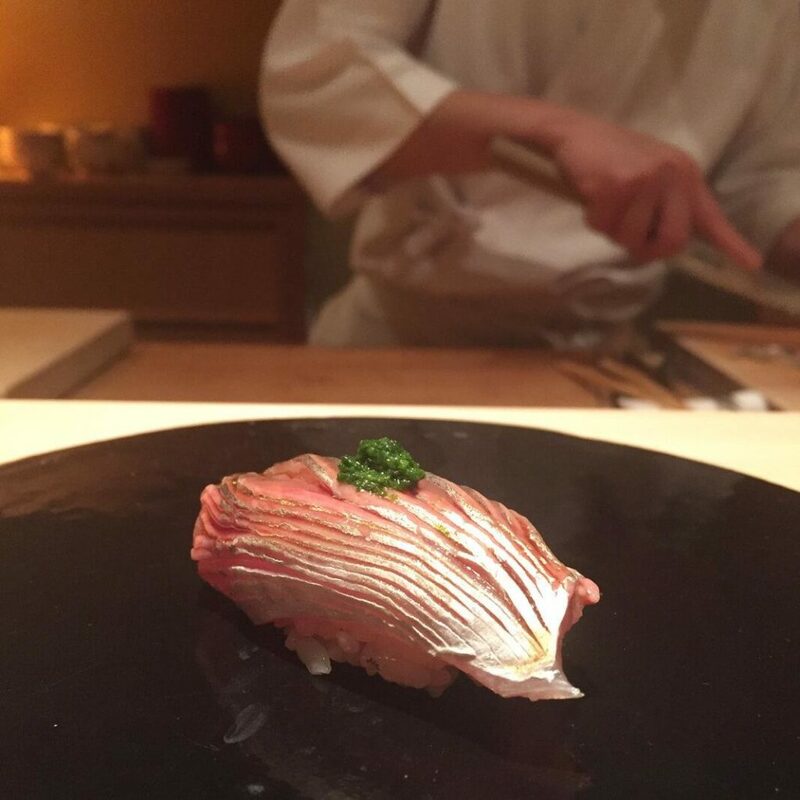 The central focus of the meal is the 12 pieces of nigiri, surrounded by small cooked seafood-centric plates like Japanese blowfish, smoked clam and a killer egg tamago for dessert. Narukiyo, in particular, is by far one of the funkiest, quirkiest and most unconventional places you can visit. There are phallic photos and ornaments strewn about, mismatched plates with sketches of everything from Sumo wrestlers to James Dean on them, and an old-school American soundtrack blasting fun tunes in the background. In recent months it has become more mainstream knowledge, partially in thanks to David Chang’s Netflix show “Ugly Delicious,” that Tokyo is home to some pretty excellent pizza. Many say it even competes with Naples or Rome, Italy. We’re here to tell you that this claim actually is absolutely true. Every part of the pizza at the newly opened Pizza Studio Tamaki will wow you! The “Tamaki” option is the house favorite, so go for that one! 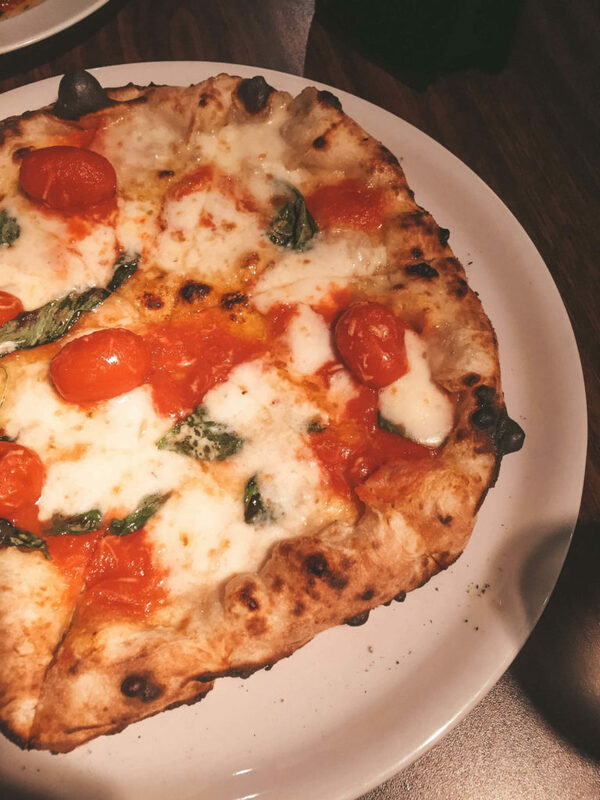 It’s a crispy dough made with a blend of U.S. and Japanese flour, topped with char-grilled cherry tomatoes, smoked mozzarella, Pecorino Romano hard cheese, and basil. Afuri Ramen is another awesome joint where your finger does the food picking ahead of time, and the service is quick and efficient. 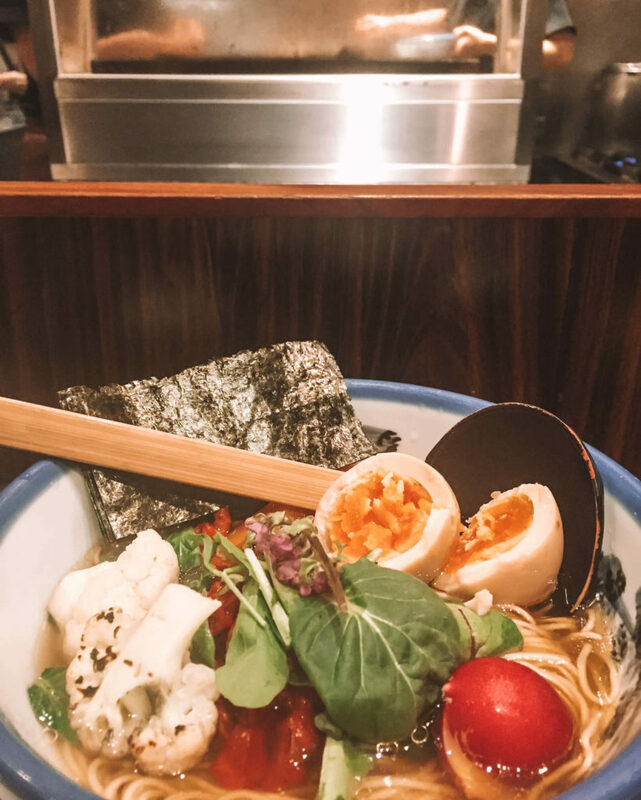 The selections are slightly broader than at Rokurinsha, but most of that choice comes in the forms of toppings; soft boiled eggs, braised pork, nori, bamboo shoots.